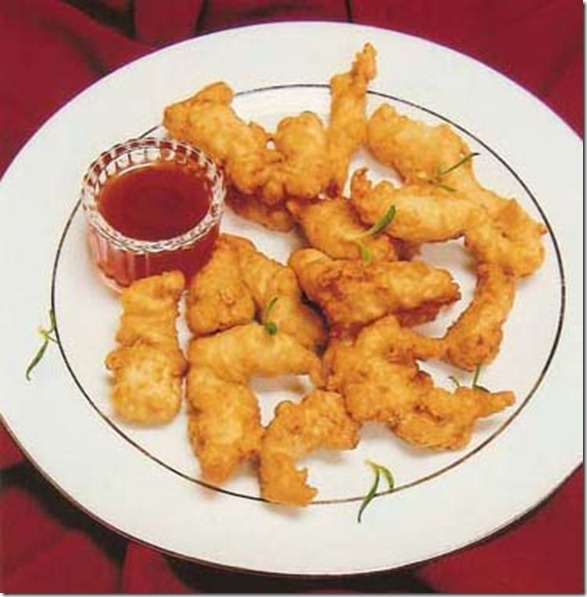 Its really very easy to make chicken tempura, just coat chicken with some ingredient and fry it. Yup That’s easy. Season chicken stripes with salt, Chinese salt, black and white pepper. Set it aside. Now for batter first add all dry ingredients and spices in garlic. Add egg and mix it well. Add little water to make the batter smooth. Just before frying add little oil in batter and mix it. Now coat chicken stripes in refined flour and then in batter. Heat oil and fry the tempuras on medium heat till they are golden in color.